Translation of a quote from La Presse, January 23, 2010. Actress, director, producer, Fabienne Colas works tirelessly and passionately to support and promote independent cinema around the globe (particularly black cinema). 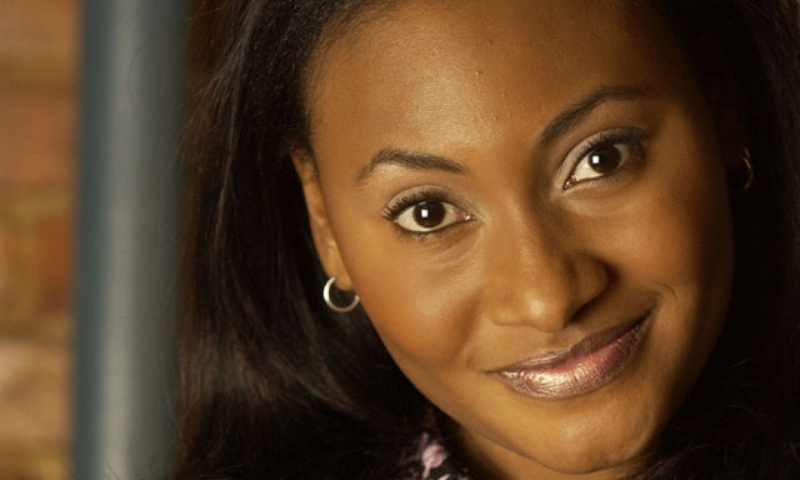 This is one of the reasons she set up the Fabienne Colas Foundation and then created the Montreal International Black Film Festival – MIBFF (formerly the Montreal Haitian Film Festival), which has become not only Canada’s biggest balck film festival, but also a key player in cultural diversity in Quebec by promoting independent author’s films from here and abroad. In 2003, she was awarded the Ticket d’Or (golden ticket) in Haiti for best actress for her role in the film Barikad (directed by Richard Sénécal) and was also nominated for this same role at the Haitian Entertainment Awards in Florida. She has acted on both the big and the small screens in a number of productions in Quebec, Canada (Watatatow, l’Auberge du chien Noir, Comment Conquérir l’Amérique en une nuit). Ms. Colas is a member of both the Union des Artistes (UDA) and the Alliance of Canadian Television and Radio Artists (ACTRA) in Montreal. She has sat on a number of prestigious juries in the arts community in Quebec, including that of the Conseil des arts et des lettres du Québec. Fabienne has been part of many juris among which the Prix Gémeaux and Conseil des Arts et des Lettres du Québec (Quebec Council for the Arts). She currently sits as a board member on several organizations including the Society for the Celebrations of Montréal’s 375th Anniversary.